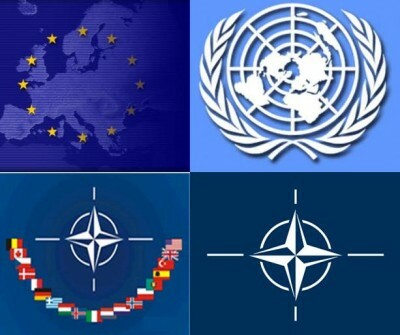 The bill on NATO enlargement that is aimed at speeding up the accession of Bosnia and Herzegovina, Macedonia, Montenegro, and also Georgia to NATO was submitted to the U.S. Congress on Friday, March 9th. Its author is a well-known Republican Senator from the State of Indiana Richard Lugar. The above-mentioned bill says that the USA “continues to support the open door policy for the NATO candidate countries”. According to information available, a separate chapter of the previously mentioned bill is dedicated to the U.S. Nuclear Force in Europe. Among other things, it says that at the upcoming talks “it will be necessary to convince the Russian Federation of the necessity to strengthen transparency in the issues dealing with non-strategic nuclear weapons in Europe and to withdraw all these weapons from the borders of the territories of NATO member-states.” The Russian Balkan studies expert Georgi Engelgardt has certain doubts on that matter. However, the biggest question is this: is it accidental that the bill on NATO enlargement has been submitted for consideration shortly before the next anniversary of NATO’s aggression against former Yugoslavia? There’s reason to believe that this question will remain unanswered. Well, when it comes to big money, uncomfortable questions are ignored.